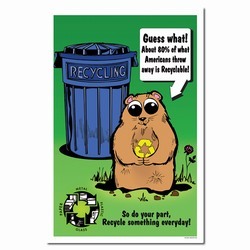 Theme: A woodland creature holds a recycle symbol in it's hand. 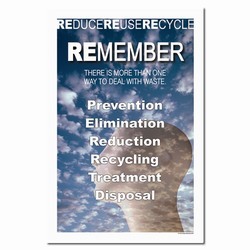 A recycle can sits behind him, waiting for him to recycle. 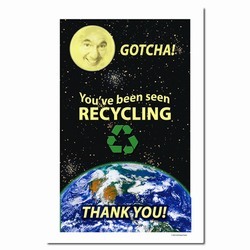 Message: "Guess what! 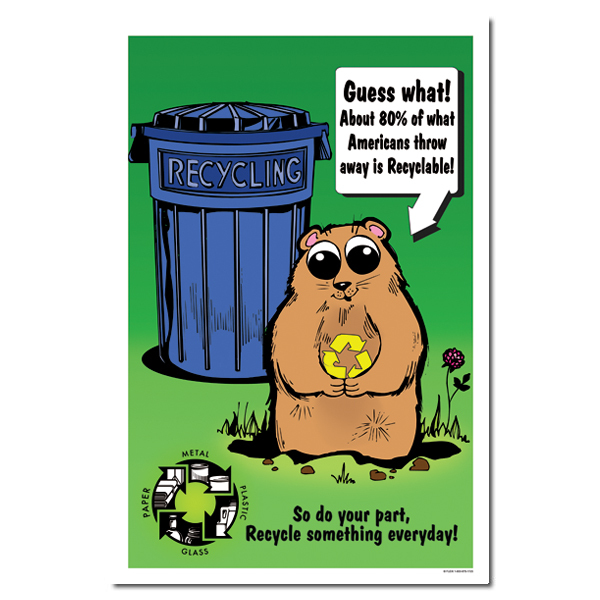 About 80% of what Americans throw away is recycleable! 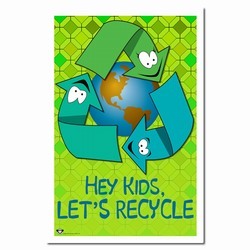 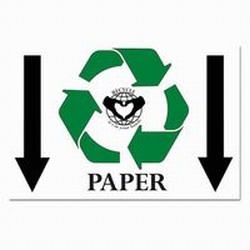 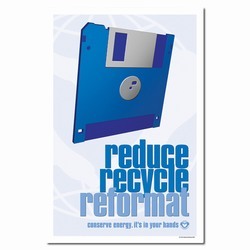 So do your part, Recycle something today!"